Never Enough Nails: SinfulColors Street Fusion Summer 2015 Preview! This summer, SinfulColors transports you across the globe with an on-trend collection of 29 hues that reflect the vibrant and eclectic chaos from around the world. 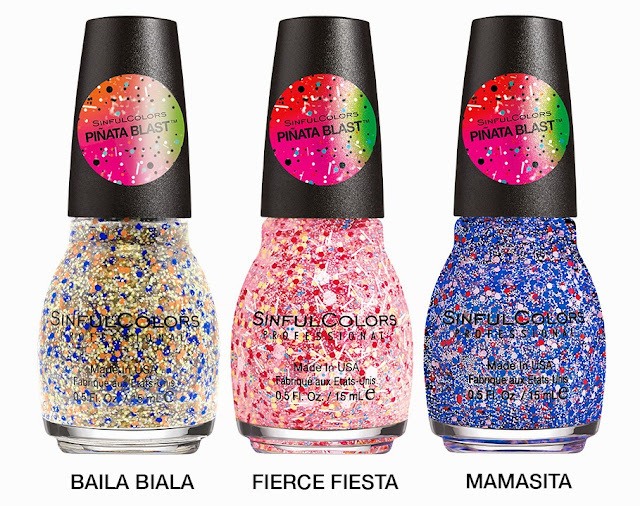 The fusion of saturated cream shades and dazzling neon appliqués channel the pulsating energy of a summer evening. 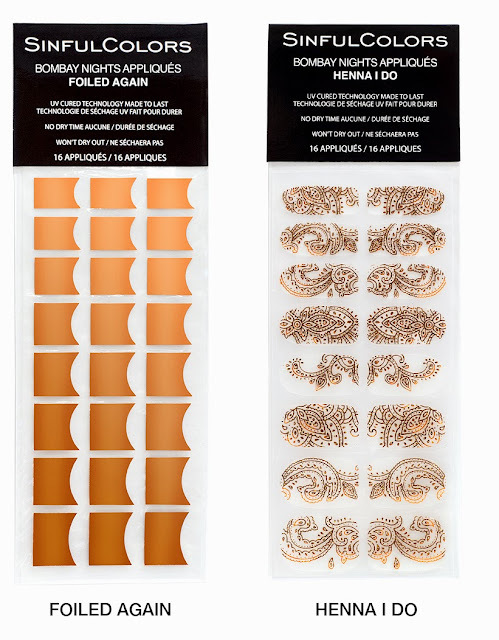 The offbeat blend of spicy reds, oranges and cooling blues are perfectly paired with henna appliqués and foil tips. 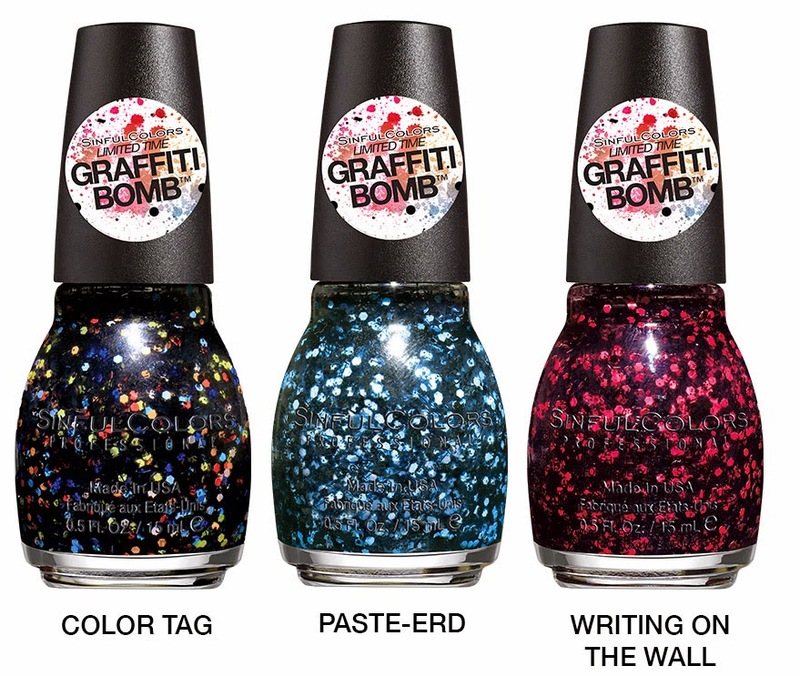 Juicy purples and pinks complement new matte glitter toppers that add a fashion-forward flair while graffiti-inspired splatter glitter topcoats capture the diverse and rebellious vibe of street art. 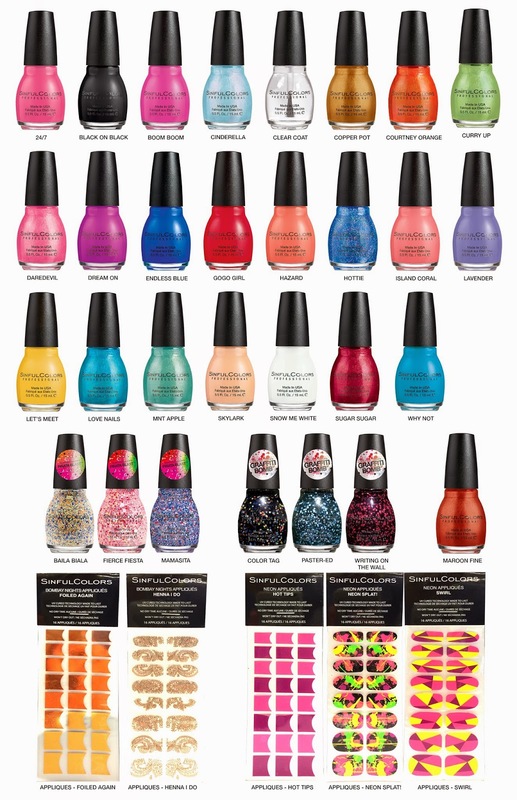 $1.99 each, nail polish and appliques, at Walgreens and other mass retailers for Summer 2015.